Hugh Lupton and I were at college together a very long time ago. For the last four years he has come to perform a magical storytelling evening at Lexden Arts Festival, and in May he is coming again to our new Festival in Maldon. Hugh is an internationally acclaimed storyteller and writer, and we feel very lucky to get him! Last year he gave me a copy of his novel, The Ballad of John Clare. I’ve only just got round to reading it – and it is brilliant! It is so much in Hugh’s style that I could hear his voice reading it to me as I read! He conjures up John Clare’s world – the world of the ordinary rural people in England in 1811 at the time of the enclosures of common land. The cycle of the church year and the farming year are twined together. The story runs from Rogation Sunday in 1811 through May Day, and sheep-shearing, Harvest, Michaelmas, All Hallow’s Eve, through Christmas, Plough Monday, St Valentine’s Day, Shrove Tuesday, past Easter and back to Rogation Sunday in 1812. 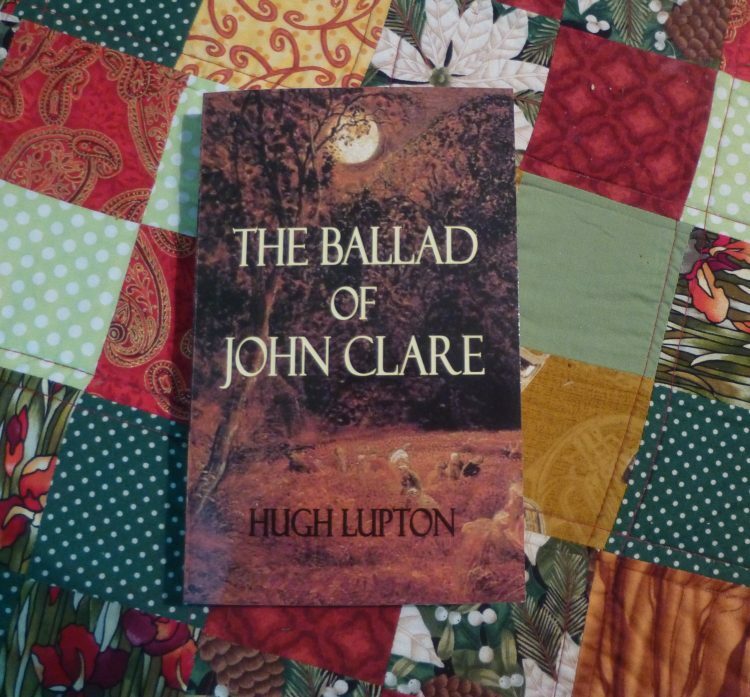 The story is a fictionalised account of a year in the life of the poet, John Clare, the year he is 17, but it is also about so much more, bringing to vivid life the landscape and culture in which he lived. I found myself thinking of my own ancestors at that time – as this is what their lives would have been like, too. James and Frances Pudney in Fordham, Joseph and Mary Firmin in West Bergholt, William and Amelia Gardiner in Tendring, Joseph and Mary Summers in Wix, William and Rose Williams in Stanway – all living though this same period of time, all working on the land in rural Essex. Hugh is coming to All Saint’s Arts Festival on Monday, 28th May. Tickets £12.00 will go on sale on 1st April from our website www.allsaintsartsfestival.org.uk His evening, suitable for adults and children over 12, is called The Mabinogion: Welsh Legends Retold. It will be focussed on the tales in his new book which will be launched in Hay on Wye later the same week. Hugh will have pre-launch copies with him available to buy.